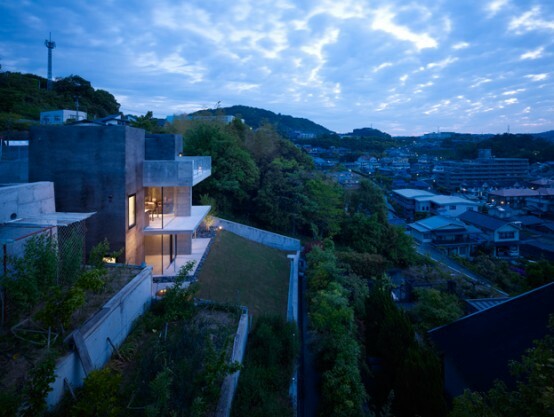 House in Fukuyama is one of the latest works of Japanese design studio Suppose Design, located in Hiroshima, Japan. 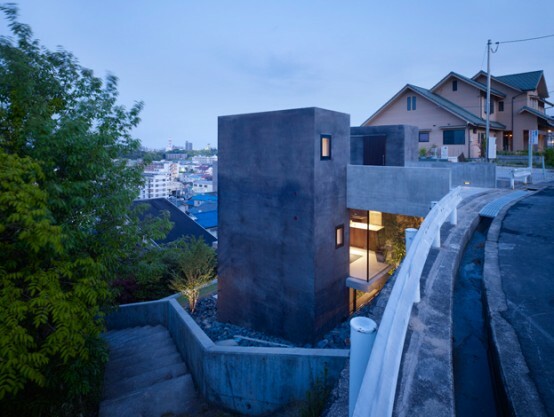 The house combines traditional for Japanese houses connection of indoors and outdoors with a modern Japanese minimalism. 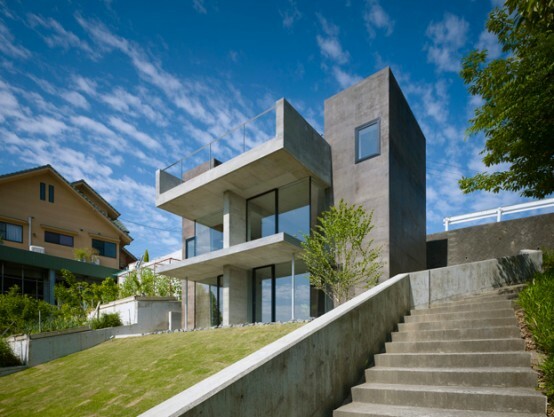 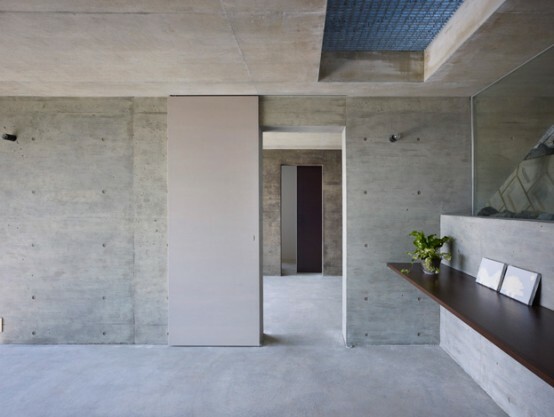 The three storey concrete residence is situated below street level. 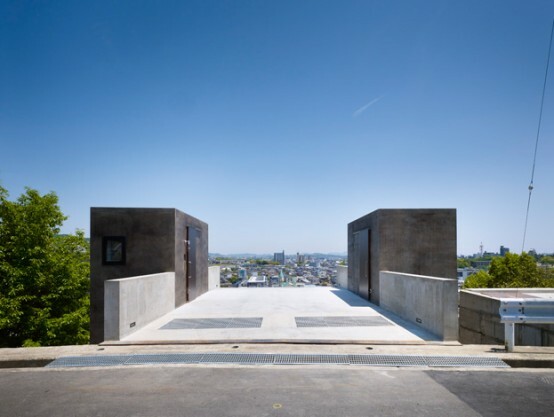 Two tower stairwells located on the rooftop are entrances to the building. 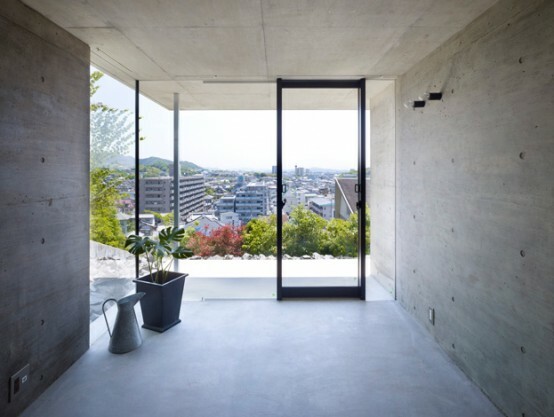 Below the entrances are all private and public spaces some of which are connected with a terrace. 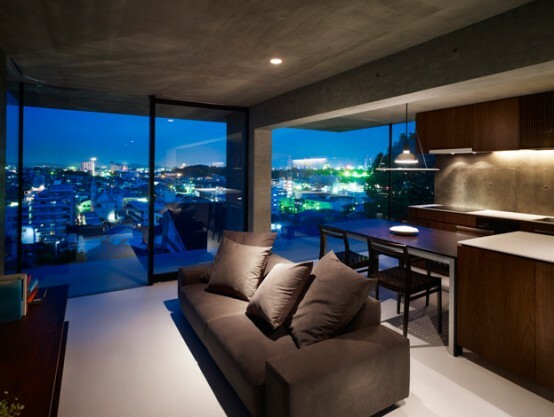 Thanks to large glazings and vertical orientation of the house almost all rooms features truly amazing city views. 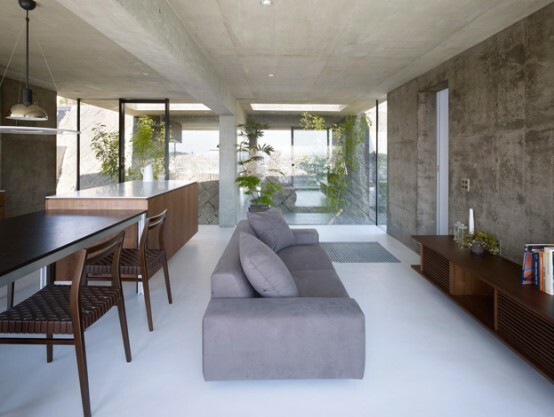 The interior is done as combination of raw concrete with wood furniture. 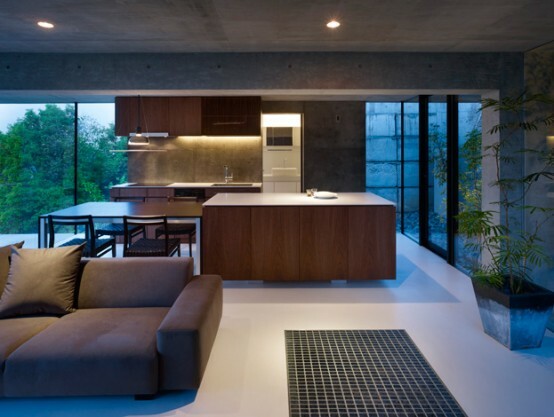 Everything inside looks as minimalist as outside.